In a recent series of papers published in the scientific medical journal The Lancet a team of international researchers examined the evidence for all kinds of treatment for back pain to establish which are the best and most effective. This has been widely reported in the news and in the press, as the researchers concluded that many people with back pain are still being treated using outdated and ineffective methods and advice. Furthermore, the authors say that the approach to treating back pain should focus on reducing its impact on people’s lives and challenging inaccurate beliefs rather than aiming for a cure or a quick fix. The evidence suggests that low back pain should be managed at primary care level, initially with reassurance and advice to keep active and stay at work, however that’s not what always happens. The researchers also advise that painkillers should only be used if absolutely necessary, and then at the lowest possible dose for the shortest possible time. The Lancet Series highlighted that more care does not mean better care. There is actually not much proven advantage to the more aggressive treatments for low back pain and they carry the risk of making things worse for patients. Also, there is no evidence that taking an X-ray or scan improves outcomes, and in fact patients referred for such imaging are more likely to receive unnecessary care or undergo surgery. 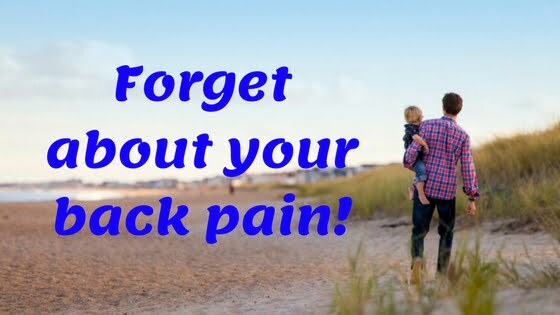 If the clinician suspects that that a person’s back pain is due to an underlying serious disease such as cancer, infection or a fracture then imaging such a MRI or X-ray is required. The Lancet Series emphasised, however, that these are only a tiny percentage of cases. Poor general health, including factors such as low levels of physical activity, are much more commonly associated with low back pain episodes. “People who are fearful of moving their back, or those with depression or stress and who have little control over their job and life may be at higher risk of being disabled, and these types of factors might be even more important than the pain itself,” explains Professor Rachelle Buchbinder. Your body is built to move and be active. All movement, from simply walking to more physical exertions, helps your joints stay mobile and keeps your muscles in good condition. Movement is the basis of every aspect of being alive – from your breathing, to your heartbeat, to your whole body. Your back is a very strong structure and your body is stronger than you might realise.Even if you have pain that doesn’t mean there is weakness or serious damage done. Phrases like ‘slipped disc’ or ‘trapped nerve’ or ‘bone out of place’ give the wrong impression. Your nerves or joints or muscles might be the source of pain but that doesn’t mean something is broken or fragile. Back pain does not necessarily mean there is a back problem. Your back can be extremely painful without any underlying disease or injury or damage. That’s because the pain you feel depends on other factors such as your general health, anxiety or stress. Most back pain episodes clear up quite quickly – so be positive and don’t catastrophise. Avoid bed rest – some people are still advised to stay in bed, and while it might be helpful to rest if the pain is severe, prolonged bedrest does not help the back pain to resolve. Remain active and return to full work activity and hobbies as soon as possible. Gradual return to normal activities and normal movement helps your back and body recover and helps you feel more positive. Exercise is safe – don’t be afraid to move. Your body needs to move, and needs a variety of movement. Our sedentary lifestyle these days doesn’t always give the body enough movement. Exercise can be graded to suit your capabilities and so there is no need to avoid exercise completely or be fearful that it might make things worse. There is no such thing as a ‘back pain’ medicine. Painkillers are only a short-term solution, common sense methods like applying heat or cold can feel good. Don’t rush for hospital tests or treatment unless a clinician who examines you finds some indication of an underlying problem. The vast majority of back pain episodes are not serious, even though they might be seriously painful, and do not need hospital treatment.